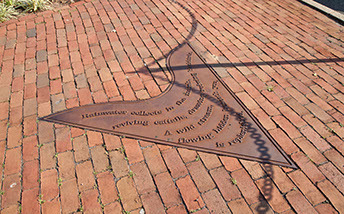 Prior to the establishment of Alexandria, Hooff's Run flowed through this site. The history of that stream and its adjacent wetland, from floodplain to drainage creek to storm sewer, reflects the way in which our culture has looked at and developed low lying areas. 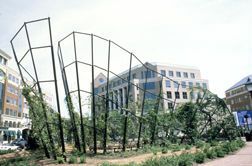 The re-creation of the marsh is a visible reminder of Hooff's Run and reintroduces a tiny native habitat in the midst of dense urban development. 250' x 35'. 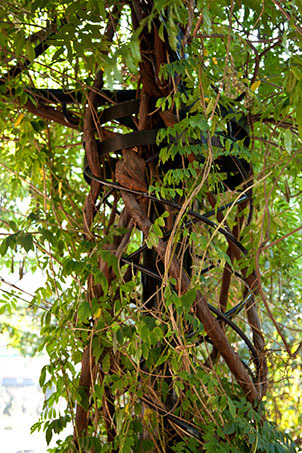 Stainless steel pipe and wire, granite, brick, plant materials. is made to your measure." 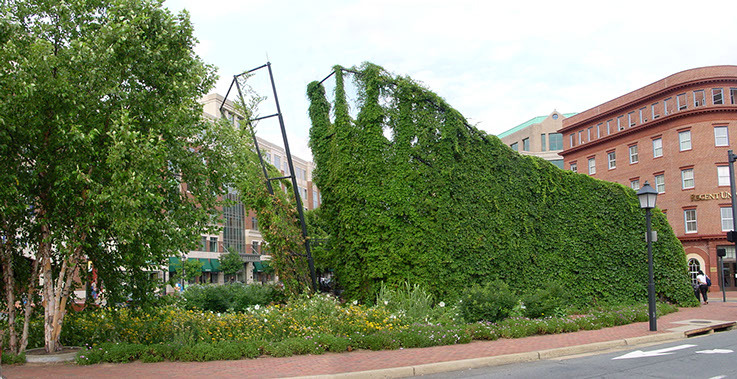 In a gesture acknowledging the fact that George Washington surveyed many of the streets in Alexandria and may have laid out the lines which define this triangular park, we symbolically raised up the ground plane to create a 30' high topiary structure that resembles a tricorn hat. 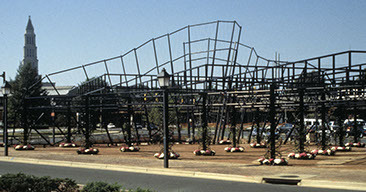 The forms of plow and ship prow also inspired the topiary armature, both symbols of the progress which made early Alexandria successful. in shades of social traditions." In the 1800's, when Alexandria was a bustling commercial town, walled gardens were the norm. 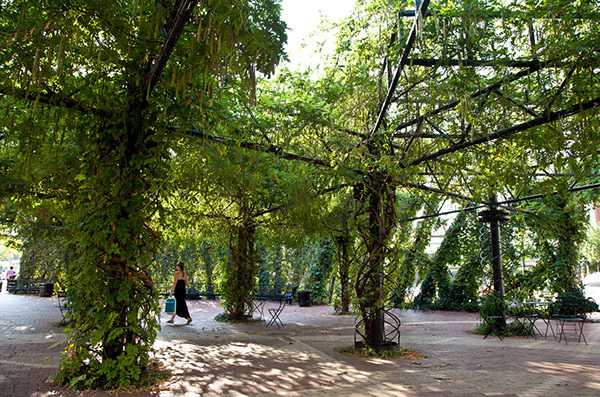 We decided to emphasize the public and shared social space of King Street Gardens by taking those walls and transforming them into overhead trellises covered with fragrant vines, creating a shady oasis where formerly there was none.